In addition Kemetic reconstructionists are most likely to identify themselves with modern neo-pagan and occult organizations although through the influence of the two other schools of thought more and more reconstructionists speak of Kemetic faith as an African religion. However, neither practices nor teaching draws on African sources or those of other African Traditions. Rather they feel the ideas and principles of Kemetic Religion are best understood through Egyptological sources and the mystery traditions. Which is why I have l;personally have little or no use of most modern Kemetic recon groups. Though they never admit it, they like to fall into that mindset of what one early Egyptologist said: “Egypt must never partake of Africa’s Spirit/” Here’s some news for those folks: Egypt is in Africa, and you cannot divorce it from the rest of the continent or its history. Kemet is all about Africa, and it will always be about Africa and the accomplishment of African culture on a global scale. The so-called “Mystery” traditions were an addition of the Greco-Roman world overlaying its nonsense over the top of the pre-existing Egyptian ones. 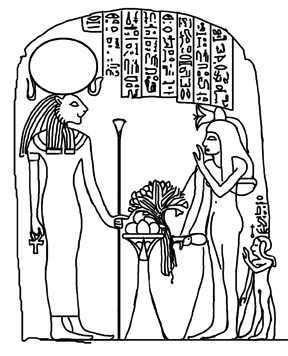 There is a balance, certainly there are some mysteries to Kemetic mindset and ritual but it is not what most would think that it is. Egyptology tends to bleed the soul out of what is already there, and the mystic-woo woo sisters and brothers of Neopaganism like to insert a great deal of b.s. No thanks. I want the real deal. That’s what I asked for from a very young age when it overtook me, and I absolutely cling to that standard.